The annual miscarriage rate for working women in Korea is 23 percent. Data also showed that the danger of failed pregnancy was 1.3 times higher for women with jobs as compared to those who do not work. 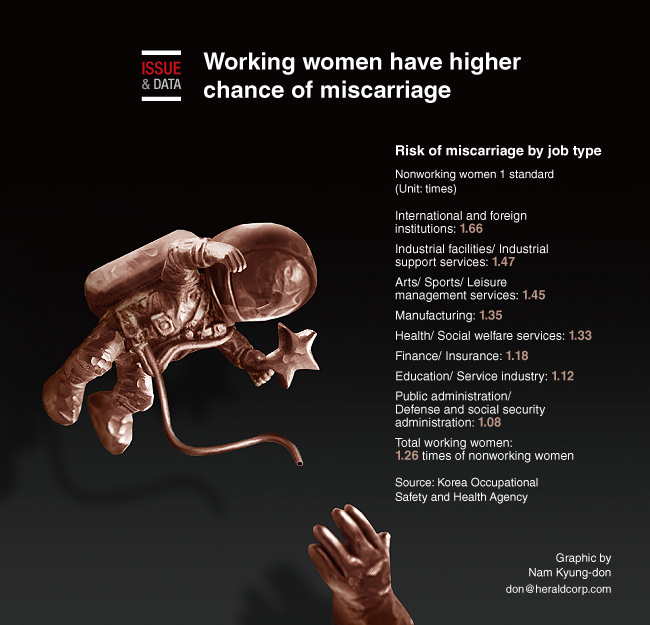 According to a team of researchers led by Kim Eun-Ah from the Korea Occupational Safety and Health Agency, the miscarriage rate for working women was 3.9 percentage points higher than those who did not have a job. The data was based on 430,343 pregnancies and 340,088 births registered with the National Health Insurance Service in 2013.